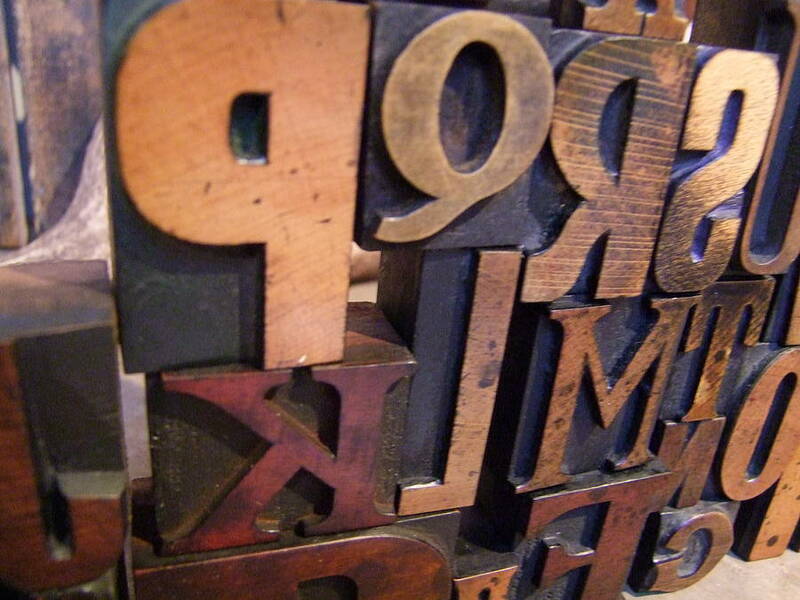 A beautiful complete alphabet in mixed fonts and sizes for that vintage eclectic look. 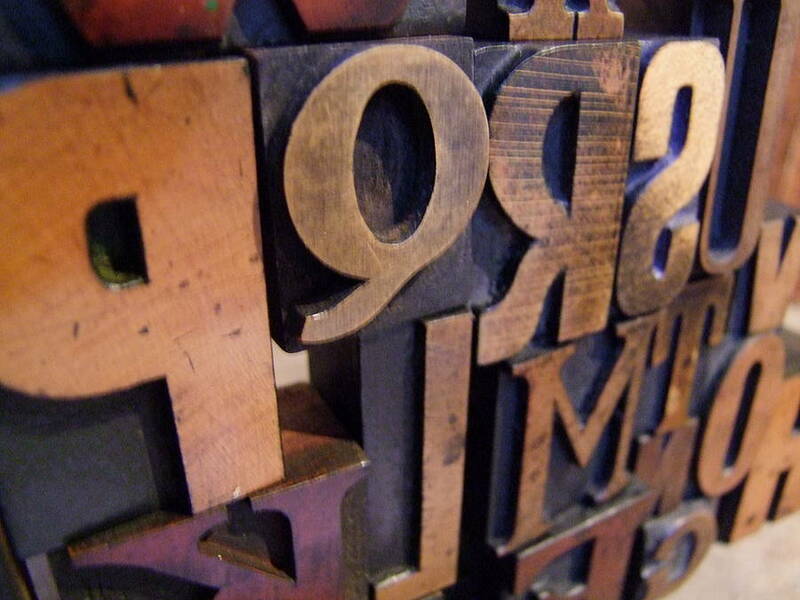 Each letter is carefully selected from our stock that we carry at the moment of order. 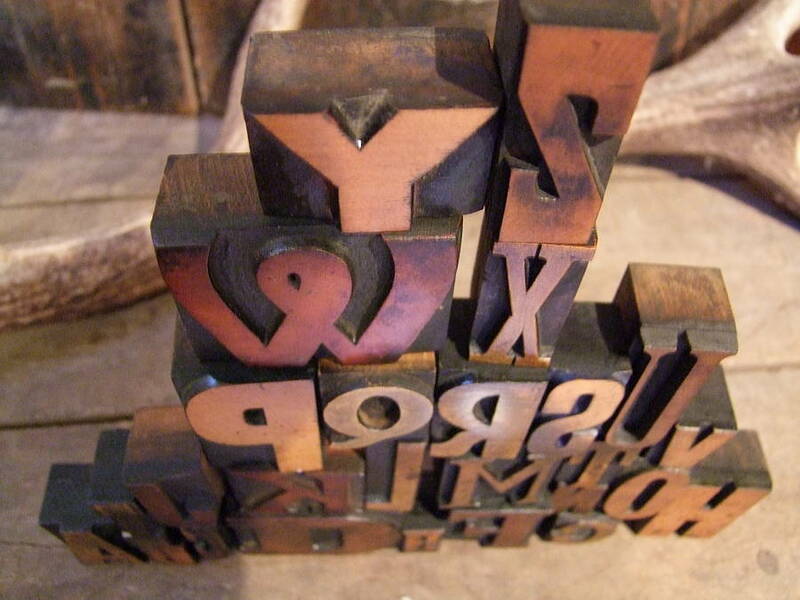 These letters vary in date from hand carved ones over 100 years old up until the 1970's when they were no longer produced because of the change in techniques and modernisation, and were used to print the fabulous stories of days gone by. Many were burnt on huge fires, only a few survived and are becoming very hard to find in such a good condition. 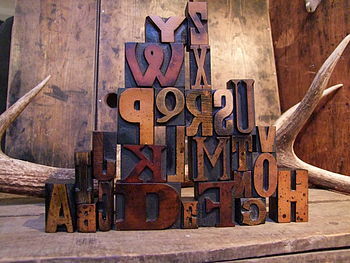 Each letter has a wonderful patina produced by years of inking and the natural beauty of the different woods used. Your alphabet will be selected from the stock carried at the time of order. The alphabet in the pictures is an example of how yours will look. Every single collection of letters will be different due to the one off nature of each individual block. These wolud look wonderful on a desk, mantle piece or sitting in a childs room to learn their ABC. All are vintage and cut from different hardwords. Sizes are mixed depending on which size you choose.